The landscape of the Forest of Bowland is the result of hundreds of years of human influence. The land has long been managed for game hunting and for farming; and the large country estates have had a controlling influence over the nature of building and development in the area. Without human activity there would be no dry stone walls, no hedgerows or open moors, no network of lanes, no barns nor grazed fields. Many Bowland farmers are very environmentally aware and are now using Environmental Stewardship to improve habitats for wildlife on their farms. However, in the past some land management practices have caused damage to important wildlife areas - for example, the draining of wet moorland and meadows has caused a loss of species; and the fertilising and early harvesting of meadows has reduced the number of wildflowers. Although farming is going through a period of change the Forest of Bowland is still an important agricultural production area, and visitors should try to understand and respect the landowners’ needs and activities, and remember the Countryside Code. The Forest of Bowland needs to continue to be a living landscape, while at the same time fulfilling its important purpose as an AONB: to conserve and enhance the landscape. Farmers and landowners work closely with the AONB and the farming community is vital to the local economy. Sheep and beef farming dominate the upland areas; while dairy farming remains the major land use in the valleys (although it is declining). Some farmers are diversifying to find new ways of using the land - developing tourism facilities and other enterprises, such as business workspaces. Others are concentrating on their farming and finding ways to improve their income, for example by farming rare breeds, or producing their own boxed meat. Although the area was badly hit by the Foot & Mouth outbreak in 2001, there continues to be a strong family tradition in Bowland farming. This can be witnessed at agricultural shows and events. Extensive areas of moorland are managed specifically for red grouse shooting. Management includes annual heather burning from October to mid-April, which encourages the growth of new, young heather shoots as food for the grouse. The shooting season is from the ‘Glorious Twelfth’ of August until 10th December. 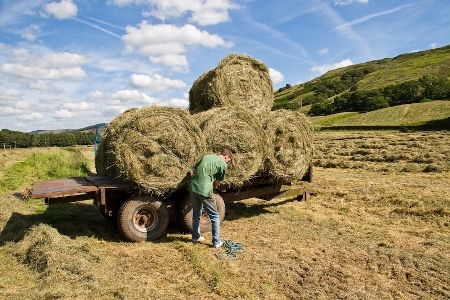 The Hill Farming Systems project was developed by the Cumbria Fells and Dales LEADER + Programme in partnership with Voluntary Action Cumbria in response to concerns about the future of hill farming. The aim of the project was to investigate the environmental, economic and social value of hill farming systems in Cumbria. The Hill Farming Systems project has created a website which champions the cause of hill farming, begins a digital record of this invaluable cultural asset in Cumbria, and acts as a two way bridge between farmers and the wider community. The website includes profiles of 35 hill farms and a wide range of information about hill farming in the Cumbria Fells and Dales plus Bowland Fells, Lancashire. It also contains a report detailing the economic, environmental and social contribution of hill farmers in the area and the results of a survey investigating the response of a sample of farms to the changes currently taking place in the industry.